The use of complementary and alternative medications for symptomatic benign prostatic hyperplasia is a lucrative business in the USA with revenues reaching close to US$6.4 billion in sales for the 2014 fiscal year. 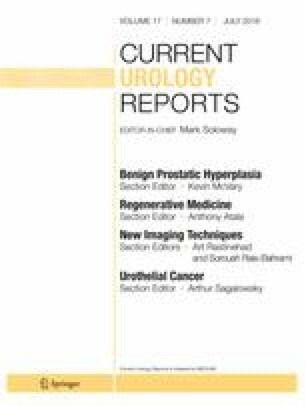 Yet, despite its popularity, the evidence supporting the continued use of phytotherapy for symptomatic benign prostatic hyperplasia (BPH) is questionable and a topic worth investigation given its wide spread use. A comprehensive literature search utilizing Medline and PubMed was conducted to identify literature pertaining to phytotherapy for the management of BPH. Agents with at least modest clinical data were selected for in-depth review including Seronoa repens, Pygeum africanum, Secale cereale, and Hypoxis rooperi. Early clinical trials for each of the agents demonstrated mixed efficacy results with many studies pointing to a possible benefit for phytotherapy. On further examination of these studies, significant confounders such as poor product standardization, study design, and follow-up duration were identified. More recent, larger and more soundly constructed studies found no significant benefit for the use of phytotherapy in the treatment of BPH. Twenty years ago, the urologic community was encouraged by trial results that suggested phytotherapy could effectively treat symptomatic benign prostatic hyperplasia. Since that time, several well-constructed studies have consistently demonstrated that these agents are no more efficacious than placebo, despite being largely safe for ingestion. Aryeh Keehn and Jacob Taylor each declare no potential conflicts of interest. Franklin C Lowe is a consultant for Boerhinger Ingelheim.